Liverpool travel to the Stadio San Paolo on Wednesday night for a mouthwatering Champions League match with Napoli. European football fanatic Mark O'Haire previews the encounter. "A huge 14 of Liverpool’s 16 games under Jurgen Klopp in the Champions League have featured Over 2.5 Goals. The Reds have only failed to score in one of those encounters with Both Teams To Score banking on 10 occasions." Napoli boss Carlo Ancelotti refused to be downbeat after watching his side lose 2-1 away at Juventus on Saturday evening. The Partenopei now trail the league leaders by six points after only seven matches, but Ancelotti believes his team's performance only reinforced his belief that they can compete with the best. For 20 minutes, Napoli were outstanding. Piotr Zielinski's shot drifted onto the woodwork before Dries Mertens put the Partenopei ahead early on as the Old Lady appeared flummoxed by Ancelotti's fluid 4-4-2. Although Juve, soon reasserted control, Napoli had their moments to bite back after going behind. Mario Rui's red card eventually put paid to Napoli's prospects at the weekend. He's available to play here, meaning Vlad Chiriches and Amin Younes are the only injury concerns for the hosts. Meanwhile, Marek Hamsik, Fabian Ruiz and Amadou Diawara are all competiting for a place alongside Allan in midfield. Daniel Sturridge's stunning late leveller handed Liverpool a well-deserved point away at Chelsea on Saturday night. The Reds created plenty of opportunities at Stamford Bridge and post-match Jurgen Klopp said he was very pleased with his team's performance, although disappointed they hadn't picked up a win. Klopp will feel the negative of the end of Liverpool's 100% start to the Premier League season - but he can reflect on a display that resulted in many chances created on opposition territory, against a team they will rightly regard as close rivals in pursuit of the title. Naby Keita dropped to the bench against Chelsea in order to accommodate captain Jordan Henderson but the Ivorian is expected to start here. Mohamed Salah will keep his place in the starting XI despite a slow start, while Adam Lallana, Alex Oxlade Chamberlain and Divock Origi are the only injury concerns. Are Liverpool overrated in Naples? Liverpool have been made chalked up as [2.18] favourites to come away with a victory that would see the Reds go two from two having already beaten PSG at Anfield. However, the odds feel a little restrictive for punters looking to keep the Merseysiders onside. Jurgen Klopp's charges were 2.60 at Sevilla, 2.60 at Roma, 2.30 at Porto and 2.65 when travelling to Spartak Moscow in the Champions League last season. What's more, Juventus were available at evens when hosting Napoli in Serie A action on Saturday night; therefore, the current market price is too skinny, for me. I've no doubt Liverpool boast the stronger squad and will provide the Partenopei with plenty of problems. However, Napoli [3.60] are overpriced here and I'm happy to support the home side with a +0.50 start on the Asian Handicap line at [1.83]. The hosts have improved with each game under Carlo Ancelotti and the red-hot atmosphere of the San Paolo should invoke a positive performance. Despite having little interest in Champions League progression 12 months ago, Napoli gave Manchester City an almighty match in defeat and a similar effort is expected. A huge 14 of Liverpool's 16 games under Jurgen Klopp in the Champions League have featured Over 2.5 Goals [1.67]. The Reds have only failed to score in one of those encounters with Both Teams To Score banking on 19 occasions. 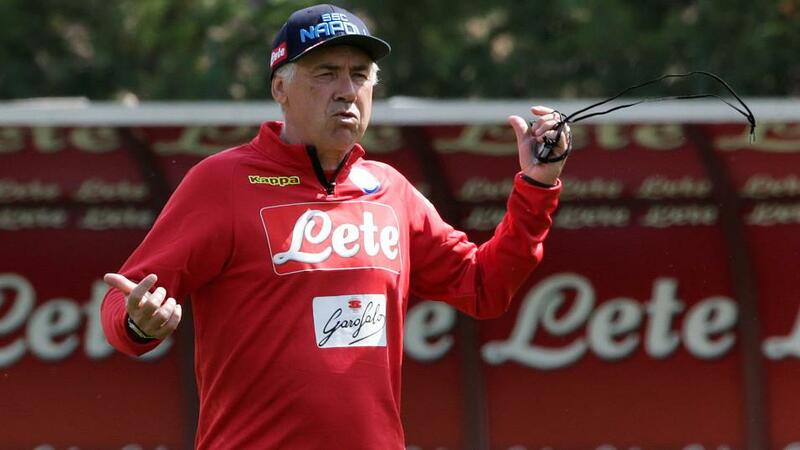 Napoli have delivered for Over 2.5 Goals backers in six of their eight outings under Carlo Ancelotti. Their opener at Red Star ended goalless but all six of their group-stage Champions League games produced three or more goals last term and another high-scoring contest is forecast.